Dr. Shenvi received her undergraduate degree in Chemistry, from Princeton University, PhD from UC-Berkeley in Chemical Biology, and MD from Yale Medical School. She then completed residency training in Emergency Medicine at UNC Hospitals, and stayed at UNC for fellowship training in Geriatric Emergency Medicine. She is currently an assistant residency program director at UNC. Her primary research interest is in alcohol misuse among older adults. Her current research focuses on the ability to screen and identify older adults with alcohol misuse in the Emergency Department (ED), and the effect of brief interventions on rates of future alcohol misuse. 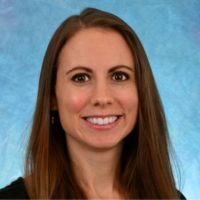 The overall goal of her research is to reduce the morbidity and mortality associated with alcohol misuse among older adults through interventions in the ED. Dr. Shenvi writes for the Academic Life in EM blog (http://www.aliem.com/author/christina-shenvi/) and writes the monthly Rx Pad column for the EP Monthly magazine (http://epmonthly.com/column/rx-pad/). In 2015 she launched the first Geriatric Emergency Medicine Podcast (gempodcast.com) to disseminate education around the acute care of older adults to a diverse audience. Dr. Shenvi's career goals are to improve the care of older adults in the ED, and to improve residency education in the field of geriatric emergency medicine.